The Visual Studio IDE is heavy and may take a toll on the system memory-wise. So its advisable to have two separate kinds of machines – one for development of scripts and one for execution. 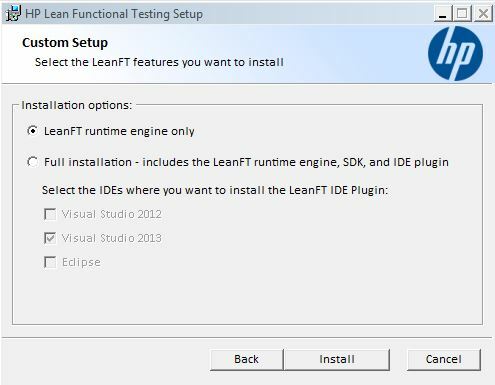 The machines that we use for execution need not have the full IDE and we can just have the LeanFT Runtime engine running on them. Please make sure that the port number mentioned here is the same as one mentioned in the app.config file in the dev machine. Also, make sure you restart the runtime engine after making this change. Now, if you start the code in your dev machine, it should run on the execution machine provided they are on the same domain.